84" height and 72" wide, 1.2oz/sq.yd,Ideal for protecting large plants from damaging weather and frost. Heavy-weight FRCs (.9-1.2 oz./sq. yard): Are usually used to extend the growing season in spring and fall, allow 30%-50% light transmittance, and recommend 3°-8°F. of frost protection. 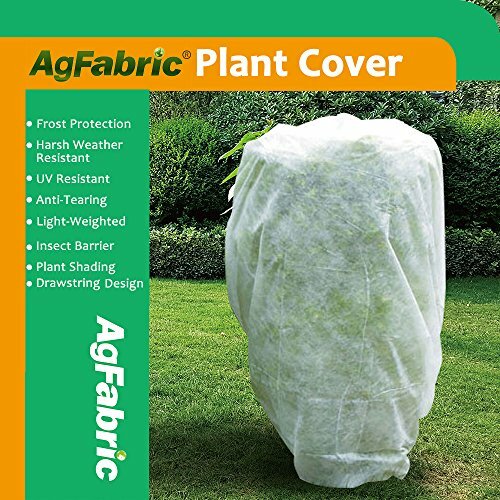 Perfect jacket design with drawstring at the openning makes it easier and quicker to cover plants during harsh weather. High quality UV stabilized spun polypropylene fabric allows air and moisture to reach your plants. Also great For: Small Citrus Trees, Patio Trees, Tomatoes & Tall Tomato Cages, Grow Box Systems ,Small Shrubs ,Tall Upright Plants and so on. If you have any questions about this product by Warm Worth, contact us by completing and submitting the form below. If you are looking for a specif part number, please include it with your message.